Following the Normandy landings, a group of US soldiers goes behind enemy lines to retrieve a paratrooper whose brothers have been killed in action. Even after 20 years, I still don't know if 1998’s Saving Private Ryan stands the test of time as well as many of Spielberg's other films. Classics like Jaws, Close Encounters of the Third Kind, ET the Extraterrestrial and Raiders of the Lost Ark all remain some of the very best films ever made, and I don't think that Ryan deserves to be mentioned in that company. Ryan does present a flawed yet often effective little war movie, though I suppose "little" isn't the best term to use, because this is a "big" affair. Clearly Spielberg spared no expense to depict his vision of events - partly true, partly fictional - during the later stages of World War II. After a modern-day prologue, we go to the June 1944 “D-Day” invasion launched by the Allied forces. This leads to the slaughter of many soldiers, though Captain Miller (Tom Hanks) ends up as one of the survivors. Once this event ends, Captain Miller gets a new assignment: to locate a missing soldier. 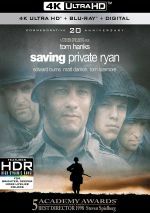 Due to other losses in his family, the rescue of Private Ryan (Matt Damon) becomes a priority, so Captain Miller and company risk life and limb to find him. Much has been made about the film's opening sequence, which restages one of the D-Day assaults in France. Without question, this scene shows the graphic horrors of war with a level of detail to which we are not accustomed, so the blood and body parts really fly throughout this approximately 25-minute frenzy. As relentless and amazing as the scene is, it definitely loses a fair amount of its impact upon repeated viewings. I think this is because the scene derived much of its power not simply from the drama of the situation but largely from the chaos in the environment. The images were confused and bombastic and made the viewer feel like he or she was right in the middle of the war. While that partly remains true on subsequent screenings, when you've seen the movie a few times, the chaotic nature departs simply because you become so familiar with what will happen. The segment remains compelling, but less and less so - at least for me. Ryan offers an inconsistent film that comes with a few fundamental weaknesses. For one, the plot is pretty thin and the characters tend toward caricature and are crudely drawn. The lack of truly interesting characters is probably the movie's main problem, especially as one views the film additional times. Our protagonists seem less and less appealing to me with each screening. However, I find that despite their often one-dimensional nature, the characters still keep me involved in the story and help me better connect to it on an emotional level. I think that's why the D-Day scene has become less effective for me. Since we don't know the characters at that point in the story, it relies on shock and its considerable firepower to provoke us, and those factors become less significant with more viewings. The rest of the film's action sequences don't suffer from the same problem, partly because they're much more tightly focused but also because they feature characters we now know and about whom we have some concern, even if they lean toward the cartoonish side of the street. These action sequences really do drive the film. Ryan operates on a pretty consistent pattern of dramatic fight sequence, getting-to-know-the-characters quiet time - lather, rinse and repeat. The character-driven scenes get tiresome pretty quickly, though not due to the actor. I think that the roles uniformly boast strong performances, and although Tom Hanks initially seems vaguely out of place as Captain Miller, he comes through in the end. No, the problem with the character-driven scenes comes from the fact that such weakly-written characters drive them. We get the same stereotypical Army boys who've appeared in movies for decades, and other than the graphic level of the content, there's nothing to differentiate them between their predecessors. Only the likeability of the actors in the roles keeps them from being total washouts. While none of the actors honestly shines, they all do so much better than they should that their work seems impressive. Still, while the "adult" Spielberg - you know, the one who makes "serious" films - wants us to see him as a compelling and detailed dramatist, it's roller coaster Steve who bails his more pretentious alter ego out in the end. Many feel that Ryan offers little of worth after the D-Day scene and that the film cruises on the effect of that segment. I think that's unfair, but I agree that the movie lives and dies on its action pieces. I just find that in their own ways, the action portions that follow the opening act work just as well. Between the large-scale opening and closing scenes, all of the other battle segments focus on the war in a more intimate setting. Instead of mass death and mutilation, these parts give us one or maybe two injured parties. Although this tends to be formulaic, it still works well. The smaller scale events propel the story along but don’t overwhelm the audience, something that too many epic battle scenes would have risked. Ultimately, I find the final battle in the film to work better than the opening scene simply because it seems more tightly focused. It ties things up a little too neatly, but it offers more of an emotional impact and it completes the film on an appropriate note. Actually, I can't say that the final battle ends the film - or that the D-Day scene opens it - because Spielberg chooese to bookend the movie with “modern day” shots of an old man in a French cemetery. Obviously a veteran of the war, the movie intends to represent his memories. I don't care for these scenes, as they seem unnecessarily maudlin and do nothing to accentuate the drama. However, I do enjoy watching the old man's granddaughter - the one in the tight purple shirt. Ooh, baby! I still hope we get a sequel all about her. Speaking of overly sentimental aspects of the film, I'd have to include John Williams' score in that category, as I find his music to intrude on the action far too much of the time. It appears during scenes where it feels unnecessary, and it overdoes things much of the time. Far too many shots are tarnished by the forced emotion of Williams' music. A good score accentuates feelings and doesn't try to create them. In this case, Williams becomes guilty of the latter offense. That said,, the score's not terrible - I just find it to be somewhat oppressive. Overall, I feel Saving Private Ryan remains a film that suffers from a mix of problems but it still turns into an effort that ultimately does the job it needs to do. While Ryan tends toward the jingoistic side of the street, it still depicts war in a brutal and terrifying manner, and it often makes for a very effective film. Saving Private Ryan appears in an aspect ratio of 1.85:1 on this 4K UHD. While not a traditionally attractive image, the movie represented the source well. It’s funny to see how much Ryan impacted cinematography. In 1998, it looked messy, overexposed and odd, so it didn’t fit with the cinematic landscape and required disclaimers on home video. 20 years later, however, we’ve seen so many films that’ve used similar stylistic choices that Ryan no longer looks particularly unusual. Sharpness appeared consistently excellent. From start to finish, the movie boasted terrific definition, with all elements rendered in an accurate, precise manner. No softness impacted the presentation, and I witnessed no signs of jagged edges, shimmering or edge haloes. Source flaws also failed to appear in this clean transfer, and the 4K boasted a solid sense of grain structure. In terms of palette, the movie went with desaturated tones. The film didn’t threaten to become monochromatic, but it came close. Within those restraints, the hues were solid, though the HDR capabilities of 4K didn’t add much to these tones. Occasional instances of fire boasted bold oranges, but the majority of the flick stayed with greens and grays intended. Blacks seemed deep and dark, and contrast was solid, as HDR did add some intensity in that realm.. Low-light shots demonstrated strong clarity and accuracy. Everything here looked great, stylistic extremes and all. The audio of Ryan long ago staked its claim as the best of all-time, and the last 20 years haven’t altered that impression, as the flick offered consistently stunning material. Without question, Ryan offered a tremendously active audio environment, one that this Dolby Atmos mix made better than ever. Downconverted to Dolby TrueHD 7.1, this remained an awesome track. The D-Day scene showed what the sound designers could do, and it's such a showstopper that it's almost distracting at times; I became so overwhelmed at the apocalypse that surrounded me that I occasionally lost track of the film. That tendency really only occurred during that opening action sequence. In truth, some of the later scenes - especially the climax - rivaled its ferocity, but my ears had adjusted by that point so those sequences didn't stun me to the same degree. That's a good thing, because it let me appreciate the mix and how it complemented the film much better. As I mentioned earlier, the opening scene was all about chaos, so it worked to the film's advantage that the audio helped make me disoriented. Such an effect would not benefit later scenes, so while they were equally impressive, they remained more focused. > In addition, the quality of the audio was very good. At times during battles, dialogue got lost in the mix, but that felt appropriate and apparently intentional. Don't worry - if you need to hear the words, you'll hear them, so no necessary dialogue became obscured. It's all part of the chaotic experience, so don't feel concerned if you have to strain to understand what someone said. Throughout the film, the sound seemed well captured. Speech was rich and natural, effects seemed realistic and lacked distortion, and the score appeared full-bodied and appropriately musical. Low-end added serious power to the mix, as the explosions and other loud elements threatened to blast a hole in my walls. Even 20 years after the film’s release, this remained one of the all-time great soundtracks. How did this 4K UHD release compare with the 2010 Blu-ray? The Atmos audio added more zing and involvement – not a small feat given the stunning quality of the 5.1 mix – and the visuals offered improvements as well. This meant the 4K boasted superior accuracy, with better contrast as well. Because the BD already looked and sounded very good, I couldn’t call this a tremendous upgrade, but it did present the superior version of the film. No extras appear on the 4K disc, but this package provides two Blu-rays as well. 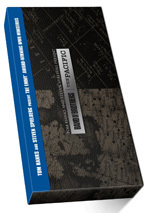 These replicate the 2010 Blu-rays and place all of the bonus materials on the second disc. Under the domain titled “Saving Private Ryan”, we get a slew of featurettes, but the area opens with An Introduction. In this two-minute, 35-second clip, director Steven Spielberg briefly discusses his motivations for making the film and his childhood history with World War II. It’s a reasonably interesting way to launch the supplements. When we head to the seven featurettes, we find Looking Into the Past (4:40), Miller and His Platoon (8:23), Boot Camp (7:37), Making Saving Private Ryan (22:05), Recreating Omaha Beach (17:58), Music and Sound (15:59) and Parting Thoughts (3:43). Across these, we hear from Spielberg, screenwriter Robert Rodat, senior military advisor Captain Dale Dye, producer Ian Bryce, production designer Tom Sanders, costume designer Joanna Johnston, cinematographer Janusz Kaminski, RAF Unit Squadron Leader C. Barry Savory, associate producer Kevin De La Noy, Irish Defense Forces’ Commander Frank Burns, armorer Simon Atherton, special effects supervisor Neil Corbould, stunt coordinator Simon Crane, composer John Williams, sound designer Gary Rydstrom, and actors Tom Hanks, Matt Damon, Jeremy Davies, Edward Burns, Vin Diesel, Adam Goldberg, Barry Pepper, Giovanni Ribisi, and Tom Sizemore. Over these shows, we learn about the film’s roots and development, script and story, cast, characters and performances, training, preparation, cinematography and editing, sets and locations, costumes and attempts at realism, stunts and effects, score and sound design, and general thoughts. Spielberg doesn’t much care for commentaries or comprehensive documentaries about his films, so releases of his movies tend toward compilations such as this. I’d really prefer something less split up, but I can’t quibble too much with the results, as this package includes a lot of good info about the movie. The featurettes dig into all the appropriate topics and keeps fluff to a reasonable level. We also find plenty of nice footage from the shoot, so expect a solid array of components from this run of featurettes. In addition to two trailers, we also find a program called Into the Breach: Saving Private Ryan. 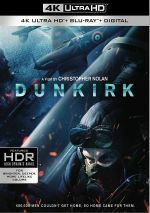 It runs 25 minutes, one second and features Spielberg, Hanks, Damon, Burns, Sizemore, Pepper, Dye, Davies, Ribisi, Goldberg, Diesel, author/historian Stephen E. Ambrose, director’s father/WWII vet Arnold Spielberg, soldier Edward Niland’s son Preston, daughters Mary and Catherine, and widow Diana, and D-Day soldiers Judge John Harrison, Arthur “Dutch” Schultz, Col. Barney Oldfield, James Colella, and Peter Howenstein. “Breach” mixes info about the film’s creation with memories of D-Day and a case similar to the inspiration for the film. When I watched this show in 1999, I thought it was excellent. Almost 20 years later, I don’t see it in the same light, probably because I’ve grown accustomed to much more detailed DVD/Blu-ray documentaries. Don’t get me wrong: it’s a solid overview of its subjects. However, it’s somewhat brief and jumps around a bit too much. It’s still enjoyable, but it’s not as memorable as I thought in 1999. Disc Two also provides another documentary: 2000’s Shooting War. Hosted by Tom Hanks and his Enormous Cast Off Beard, the program goes for one hour, 28 minutes five seconds as it offers thoughts from Ambrose, and veterans/war photographers Russ Meyer, Walter Rosenblum, Joe Longo, Doug Wood, Arthur Mainzer, Doug Morrell, Fred Bornet, Harold Kempe, Daniel A. McGovern, Norm Hatch, John F. Ercole, Ed Montagne, Dave Quaid, Richard Brooks, Carl Voelker, Reuben Weiner, Samuel A. Sorenson, Jim Bates, Melvyn R. Paisley, Don Honeyman, Lloyd Durant, and Jerry Anker. “War” looks at efforts to film various aspects of WWII. This means many comments about the efforts as well as nearly wall-to-wall footage taken during the era. Both sides mesh well to create an unusual and involving program. The archival shots became the highlight, as the piece offered lots of excellent footage. The comments add to our understanding of those elements and help turn this into a strong documentary. Though inconsistent, Saving Private Ryan remains one of cinema’s more impressive war movies. While it suffers from sags, it compensates with some of the most dynamic, brutal battle sequences committed to film. The 4K UHD offers strong visuals, stunning audio and an informative, engaging set of supplements. This turns into the best version of Ryan to date.